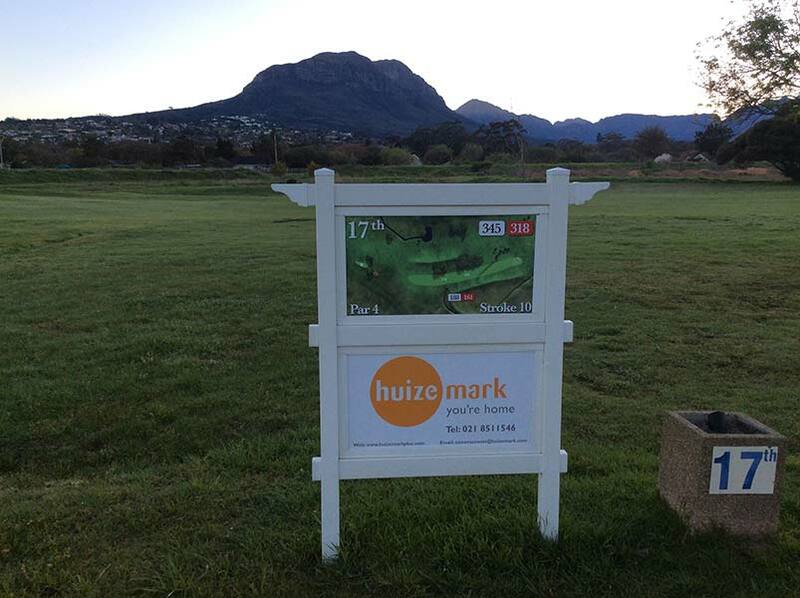 PVC Advertising Boards will not crack, rust, fade or rot. 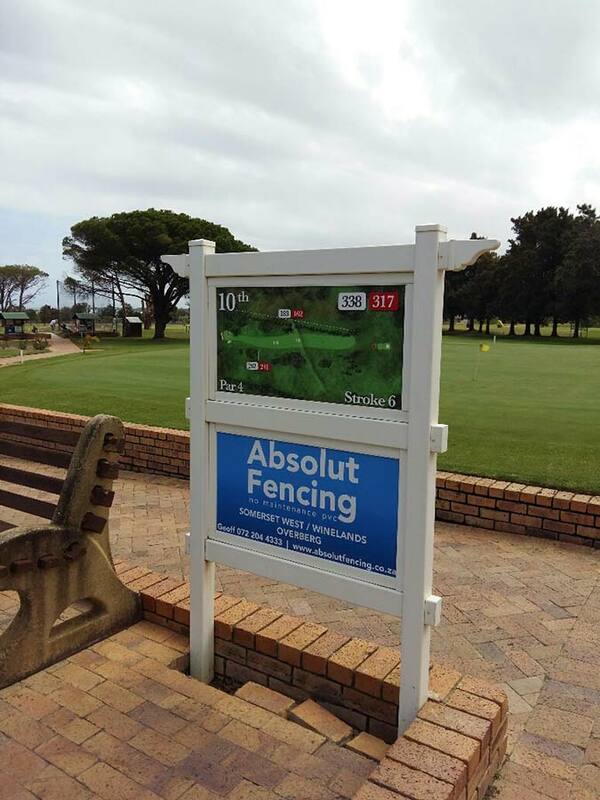 With the Absolut PVC Advertising Board we can create a durable marketing tool for your business. 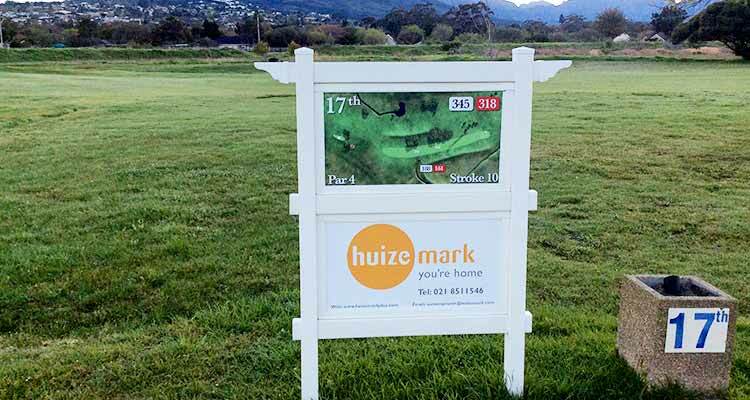 We have been commissioned by the Somerset West Country Club to manufacture and install Advertising boards at every one of there 18 holes. 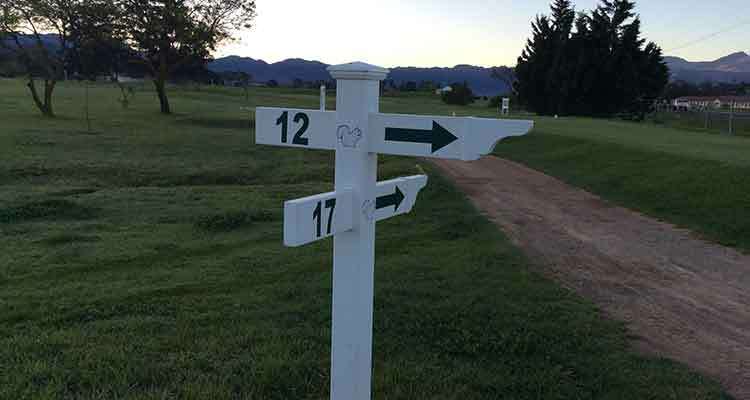 The board makes provision for the specific hole layout as well as a sponsors board below. This can or course can be adapted to your needs. Our installation process is efficient & our trained staff are meticulous, especially where installations take place in established gardens. 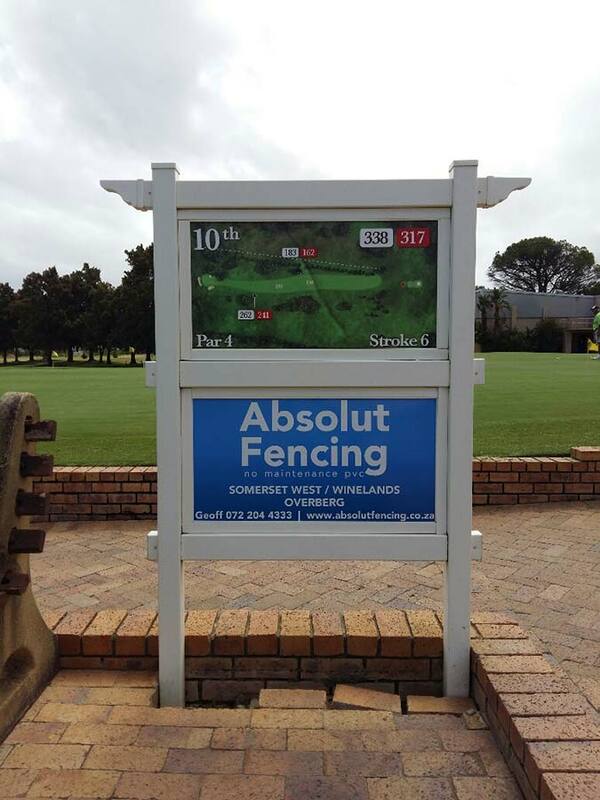 The Absolut PVC Advertising Board can be installed into the ground, garden beds & on paving.